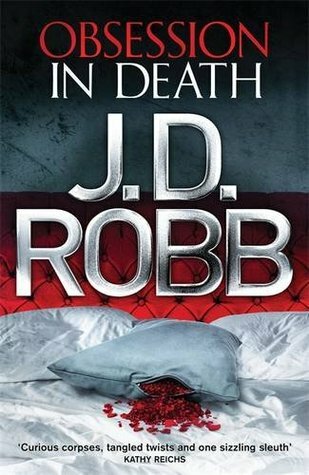 I have have read all the books in the In Death series and this installment is just as good as the others. Just when you think you have the killer pegged, the twist in the plot leads you into a whole new train of thought. I know I will be reading this series for as long as Eve Dallas is around. Lieutenant Eve Dallas walks the thin line between love and hate in this fabulous 40th installment in the series. Eve Dallas has solved a lot of high-profile murders for the NYPSD and gotten a lot of media. She–and her billionaire husband–are getting accustomed to being objects of attention, of gossip, of speculation. But now Eve has become the object of one person’s obsession. Someone who finds her extraordinary, and thinks about her every hour of every day. Who believes the two of them have a special relationship. Who would kill for her–again and again. With a murderer reading meanings into her every move, handling this case will be a delicate–and dangerous–psychological dance. And Eve knows that underneath the worship and admiration, a terrible threat lies in wait. Because the beautiful lieutenant is not at all grateful for these bloody offerings from her “true and loyal friend.” And in time, idols always fall.